Medical & health care office sign name plate system that allows you the option to interchange any of your customized name plates, for employee names, doctors or nurses - your imagination is the only limit. Includes personalized Header Plate with 3, 6 or up to 9 name plate channel options. Name plates included with free custom text and logos - each mounted on a sturdy, rich black mounting that hangs on walls, cubicles or any flat surface. 8" Wide or 10" - Free text or logo customizations of Header Area and all name plates (Request a Graphic Proof if Necessary). 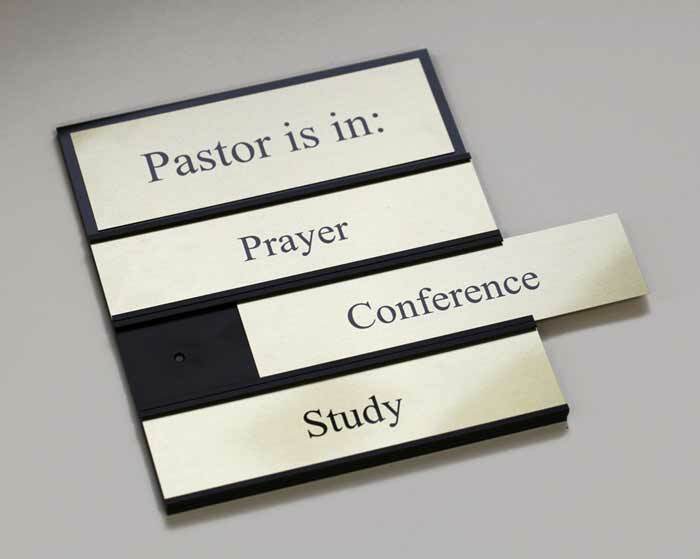 Add as many name plates to complete your own custom office sign design. Standard design offers Black frames and a solid 1/8" thick backer unit. Custom colors and size available upon request. Additional name plates, beyond those that come with the product, are available as well.